So you think you’re as rich at Carter Pewterschmidt? Own a fancy house like Buzz Killington? You sure gotta lot of clams there, whatcha gonna do with them? BUY LOTS OF STUFF OF COURSE!!! Now hold on there a minute. Are you SURE you want that? With all these cool Premium Items in the game, it is very easy to get carried away. Before you know it, Clamshell Shock! All gone! So before you go ahead and buy Steroid Stewie with your hard earned Clams, here are a few things you might want to know about it. As you can see, he incorporates one of the New Buildings from the Mini Event. 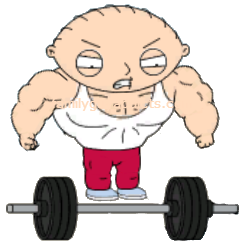 Personally, I got this one more due to I just wanted Steroid Stewie. The episode he was in with this Costume cracked me up. However, for the cost of all the other Character Costumes I have seen, this one is starting to get up there. Again, I think it is due to we are so used to just being able to earn the Costumes but never actually pay much attention to what Clams they would cost if we buy them outright. It makes it more shell shock as many of us are NOT used to seeing a Costume for just the Clam purchase outside of Al’s. But comparing to others, for all the tasks he gives… it is quite reasonable. (Most Costumes you would earn Materials for on average would cost 500+ Clams to outright buy, and that is what I am comparing it to. Just look next time in Al’s to “get it now” cost. You will see.) As for his Performance Enhancers drop, it is helpful for those that may not have the time to spend in the game… but I am personally earning Materials just fine without Clam extras in the test game. So this one is going to really come down to personal choice. In a month will YOU be happy you got him? In 3 months? More a Clam purchase for a completionist in my opinion. In the end it’s your call. What you buy and what you don’t buy is your own personal choice we can only guide you on the facts and let you know what we did and what we think. But don’t purchase it until YOU are sure. ALL SALES ARE FINAL! 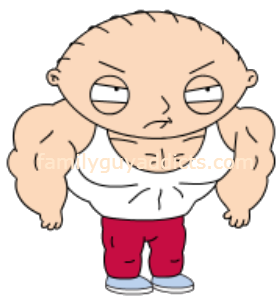 Did you buy Steroid Stewie? If so, do you have a favorite task? Was he worth it to you? Let us know. 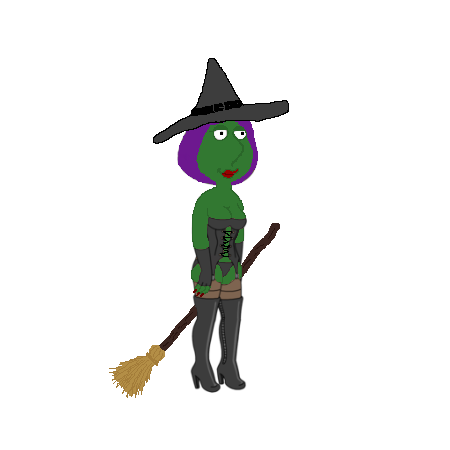 This entry was posted in Characters, Clams, Do I Want That and tagged District 10, Family Guy Addicts The Quest For Stuff, Family Guy Tips and Tricks, How do I get more Performance Enhancers?, Phineas and Barnaby, Should I Buy?, Steroid Stewie, Steroid Stewie's Tasks. Bookmark the permalink. I regret caving in and buying it especially when I just read about the one outdoor task. It was my mistake and now wish I had read more about it. I honestly hope they’re can add some more tasks for his character especially cause people who loved this Stewie got him to see him. Now there is a mystery box that you can get an actual character 125 clams, so I am pretty bummed and don’t even have Stewieunlocked. Forgot he only hashows one outside task. 200 clams for a skin that has *one* outdoor task? I AM still on the fence on buying steroids Stewie since I don’t have stewies character and I’m not sure how long it will be till I am able to unlock his character is it worth it I do love his character steroids Siri but I agree with the suggestions on needing to block brian in some way and is it worth just having him since I already have phineas and Barnaby on my own. How long is he available? I don’t care for spending clams on timed skins. If it is timed, then at least give us a shot at collecting items. You will still have people that will use clams outright. I am a player that likes the challenge of collecting items and seeing the screen shots in doing tasks. Just using clams is a shortcut. If they do want it to be a clam purchase, then don’t make it timed so that we can save up some cash to buy clams every once in awhile, not every couple of weeks. Just my two cents, and I have let Tinyco know. That’s actually a good idea. Most people are just complaining about paying anything for a skin, but kudos to you for this idea. If I buy the Stewie costume but don’t have him unlocked yet, will the costume still be saved onto my game recognising I have it, or do I have to have Stewie unlocked first? I’m glad to hear that! Thankyou! It needed the outside task “Block Brian’s Path” with Brian for it to be worth the Clam price. That was my favorite scene in the episode. Also Stewie flying like Rocky J Squirrel should be in their. For player to buy skins straight out there needs to be at least 50% outside tasks minimum. This is the first character/skin I haven’t purchased TinyCo… hintity hint, hint. It is the worst possible combination… too much money for too little action! If it doesn’t do much, it should be cheap, and vice versa…even the people who purchased him are basically saying it is a rip-off, just look at the comments here. Besides…don’t you tell us constantly to STOP suggesting things to them? Lol. I don’t see anything against your guidelines in my statement… unlike the attacks against me on numerous occasions. I have said to stop suggesting to them to DO certain things, NOT to stop suggesting things… There is a difference you know. How are we justifying them? How is it a cash grab? This is what I was referring to with the guidelines. “Bigger Picture”. People want our opinions, I gave mine. I used data and information from ALL skins/costumes brought into the game… not matter how acquired… and used that information to compare the Clam Only cost of this one to the Clam only cost of the rest. We deal in the facts. Cold hard data. We take note of EVERYTHING in the game. Tens of thousands of Screenshots. That way we always have a reference. Information WE gathered through OUR games. No one tells us what to do. I still see the same type of business model, I still see the things they offer at various prices, and I pass my thoughts based on ALL that. You point blank accused the Addicts of justifying actions based on YOUR opinion. So again, it goes back to the Guidelines. Why do you continually finger point at US and take out YOUR frustrations for a game on US? We owe you nothing. We are just here offering OUR help and OUR point of view. To be constantly attacked for it because it is not what YOU want to hear is just getting old. 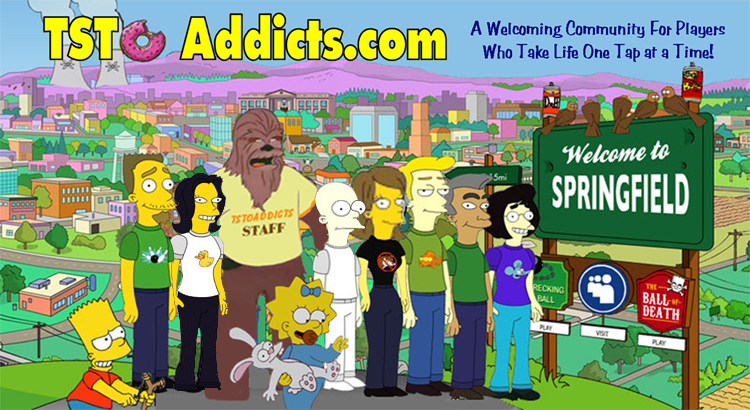 So… back to the Guidelines… again… THIS IS THE ADDICTS SITE… if you do not want to hear what WE, the Addicts, have to say or appreciate OUR, the Addicts, efforts and opinions… fine… but STOP ATTACKING US. It is just getting ridiculous. If you are so passionate about how it “should be done” or how a site “should say this and that”, then please… by all means… create one of your own. Make it just how YOU want it. Then you can yell, attack, cuss, and scream all you want to your hearts desires. I did not buy him. Not a huge fan of spending clams on skins and I am saving clams for the next big event. I want new characters for clams. I got him. I just wish he had more than 1 outdoor task. I didn’t buy him. I think he would be worth it if he had at least 3 outdoor tasks and new dialog. Now he is just too expensive. I don’t have a problem spending money on a game, but i wish Tiny co would make it more worth it, In my opinion characters should have more outdoor tasks then indoor. 10,000,000% agreed! All characters should be outdoor task heavy, not indoor task heavy. What’s the point in having them if you aren’t really seeing them? And I agree that new dialog to go with a new skin (especially a clam purchased one) should be a given. Eh…I hate to disagree with you Bunny, but I think I may have to here. This type of game leverages the power of reusable code. New character animations shouldn’t require ANY additional coding, unless you count animation scripting, but I consider that art as no actual new lines of code enter the application. I agree with the other posters here, I think they are skimping on art resources to save money, but in this case I think it’s going to keep me from purchasing the outfit…it’ll be the first character or outfit offered I haven’t purchased — and I’ve been playing since Day 1. Previously I’ve only passed on collection aiding buildings (haven’t needed em), vanity ‘pets’, and premium decorations. I am going off of what we see and have seen daily as well in the OTHER game we right about. One of the MAJOR factors of issues with crashing and lagging is outdoor tasks and NPCs draining memory. I am not speaking one game specific. I am speaking of ALL games I have been involved in as well. I am not just talking about THIS character. It is an accumulation. Think of it as this… rush hour traffic… EVERYONE on the road. How easy do things flow then? Now imagine a game… EVERYONE outside doing tasks and tapping into that memory. Gotta agree. I was stupid once and sent almost everyone off on outside tasks and I couldn’t get onto my game for a week except for a few seconds if I forced crashed it ten times. Yes, my phone is pretty crappy, but my game never would have taken so long to get working again if I had set more people on indoor tasks. Oh, I understand entirely what you are saying about the memory allocation. I thought you meant that adding ‘a’ new outdoor task itself required a lot of additional coding. Where I’ve found that’s generally untrue. From a pure device resource perspective you are correct and I withdraw my previous comment. I’d still prefer to at least have the option to have them outdoors interacting with one another. I can then dictate who I want on outdoor tasks at any one time to best minimize lag from memory drain. I totally get what your saying though. I’ve stored animated decorations like flags and such to best minimize problems. Like I said earlier, we’re paying quite a bit for some of these skins/characters, or working hard and spending a lot of time earning them. I would most certainly love to see them out and about doing stuff besides walking. True. I adore those outside tasks. I just think many times the stability of the game trumps what they want to do for a character vs what they have to end up doing. I have seen things pulled out of games before, this one included, due to the game just would not stay stable with the option. Something I am sure all gaming houses run into when trying to brainstorm the Character Actions. 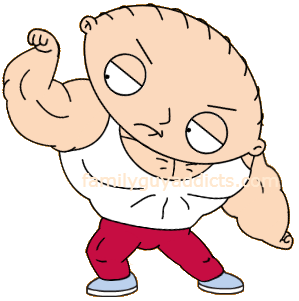 I bought Steroid Stewie. I have invested on this game well close to over $500.00 in real money buying clams. I play on my iPhone and on my iPad, so I have two different accounts, and each one is different because I don’t have the same items on both. I ended up getting him because I try to get as much stuff as possible from events so I am not kicking myself later. I will buy him once I unlock Stewie!! Just like the theam to any special event. Wish they do something new. I bought him simply because I love that ridiculous version of Stewie. I do think the skin is rather pricy especially considering he only has one outside task 😦 (has TinyCo been known to add more outside actions later?). I know I won’t regret the purchase like I do NYs Brian. That was a waste IMO. But as long as they keep asking high prices for skins (compared to completely NEW characters in the store and not the unlock cost of new earnable characters/skins) and we keep paying those prices, not only will they keep asking those prices, but they’ll keep raising them until we finally say “enough” with our wallets. 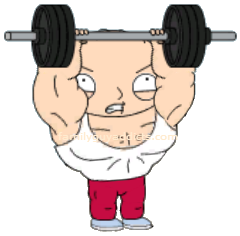 I’m not getting Steroid Stewie. I got New Year’s Brian and I regret it. He didn’t really help much at all with Jillian and the New Year Event. He probably won’t be helpful with any thing ever again, unless he gets utilized during future New Year Events. The thought of spending that many clams for something that will only be useful for the next 5 days makes me feel a little ill. Sure, I’m earning a couple of clams a day, but it’s not like it’s a new character, just a costume. So not worth it. I snagged him. I have a really hard time passing up characters or costumes, though I am regretting my ambitious decision to work on the body builders at the same time. The performance enhancers are very, very stingy. Almost as bad as the brewery tap handles. Sheesh. I decided I wouldn’t pay more than 150 for any costumes. It’s just not worth it when so many costumes are now useless. I mean, Stewie’s hardly ever useful, never mind his costumes!